Suparatastic all-in-one meal created especially for your pet rats. Each delicious nugget contains the perfect combination of vitamins, minerals and nutrients. The nuggets prevent selective feeding – unlike a muesli-style food where rats can pick out some bits and leave the rest, leading to an imbalanced diet. 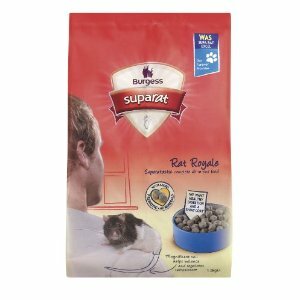 Suparat Rat Royale provides a tasty, balanced, healthy diet with added minerals to help maintain beautiful coat colour, and prebiotics to encourage friendly bacteria for a healthy digestion.